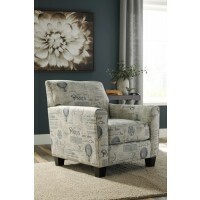 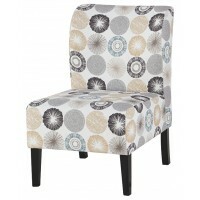 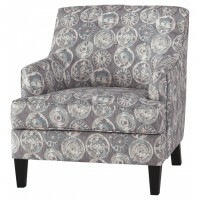 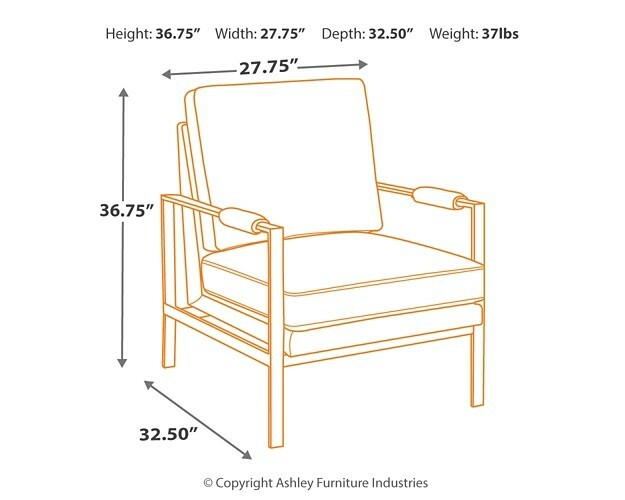 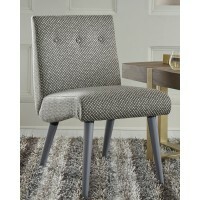 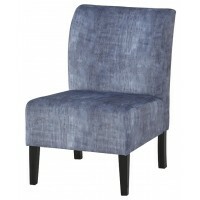 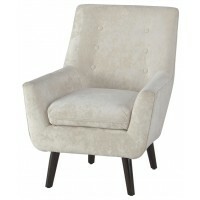 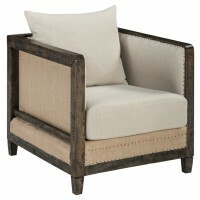 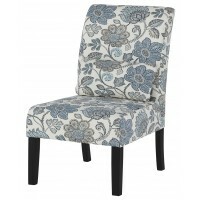 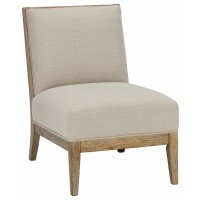 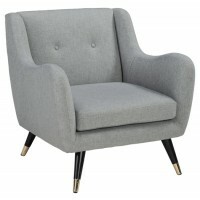 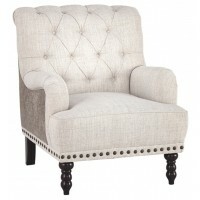 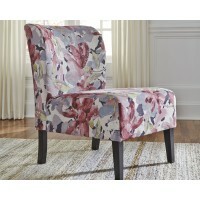 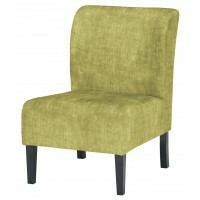 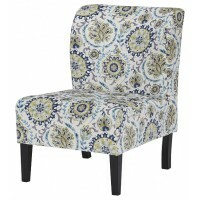 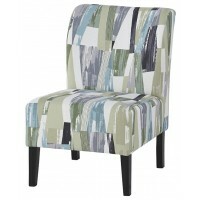 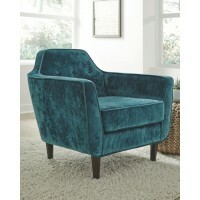 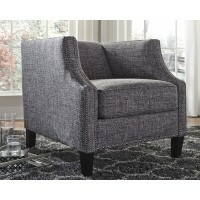 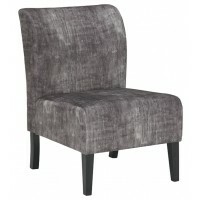 Find the perfect balance of high style and plush comfort with this accent chair. 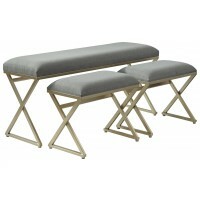 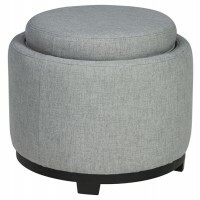 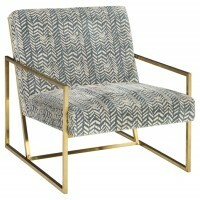 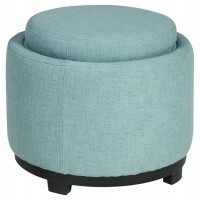 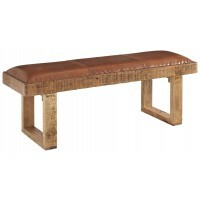 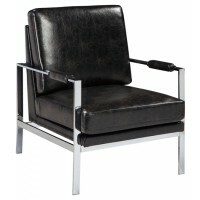 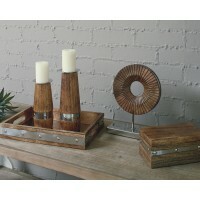 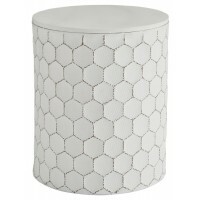 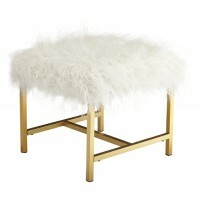 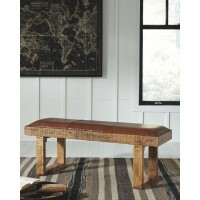 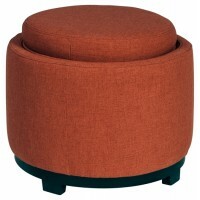 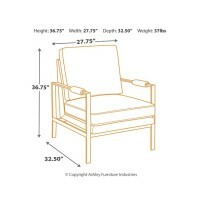 Ultra-linear metal frame and box seat cushion styling are sure to appeal to contemporary tastes. 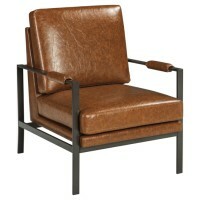 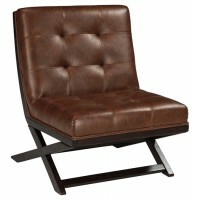 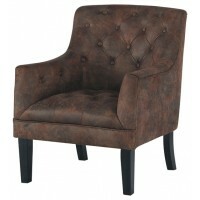 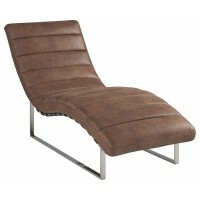 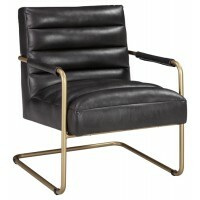 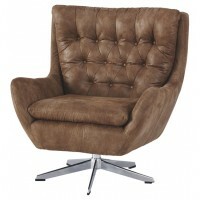 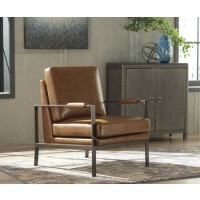 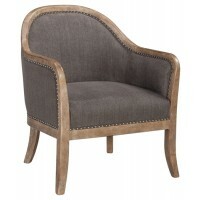 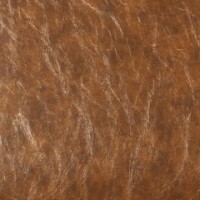 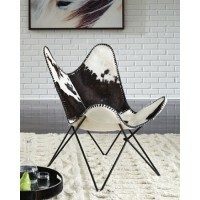 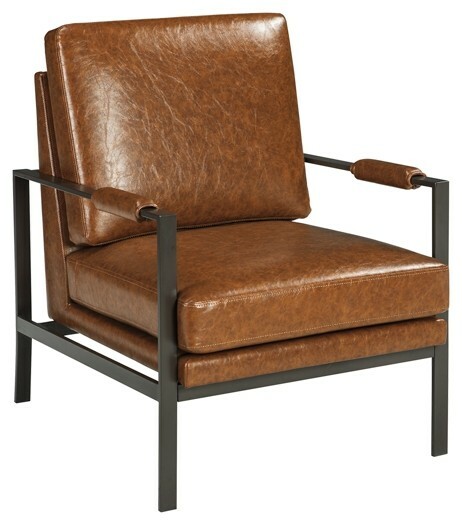 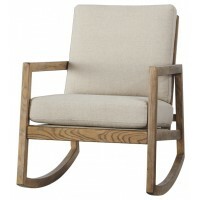 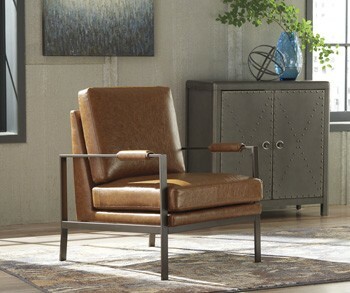 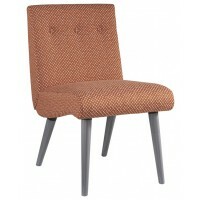 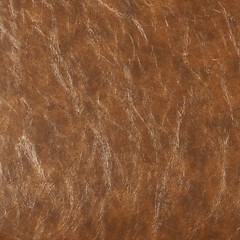 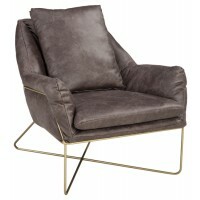 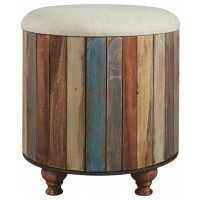 Weathered faux leather in a light brown tone give this cool chair a sense of warmth.